Unfortunately, inflammation, whether acute or chronic, often goes awry. When our tissues are irritated, swelling occurs. The swelling is usually liquids filling cells surrounding injured, or infected cells in an attempt to buffer them. Too often though, the liquid-filled cells push, and irritate the surrounding cells, rather than protecting them. This is where anti-inflammatory substances come into play. 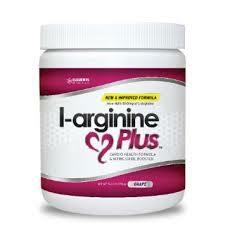 By reducing the inflammatory cells, focused formulas reduce the pressure applied on the stressed cells. There are many natural methods, with no side-effects like pharmaceutical drugs have, to control inflammation. 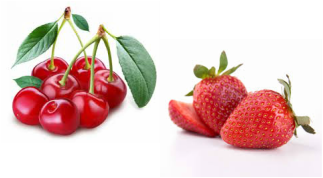 Cherries and Strawberries are potent anti-anti-inflammatory agents, relieving both pain and inflammation. It only takes 3-4 of these berries to equal 2 aspirin, without the side-effects. White Willow Bark is what pharmaceutical companies use to extract the active component of aspirin. In its natural form, White Willow Bark is less harmful . . . no stomach upset, etc. than aspirin. Used by American Indian tribes to reduce fever and inflammation, this natural substance has been used for centuries. Far-Infrared Heat reduces inflammation, and carries harmful debris away from injured tissue, adding to the healing capabilities of the injury. By sweeping away the debris, and delivering healing oxygen and nutrients to an injured or infected area, Far-Infrared greatly aids in healing. With far-infrared therapy, healing can occur 33% times faster than harmful steroids, and other mainstream methods. ​Nitric Oxide, produced in the body by the pre-cursors provided in the Noni Plant extract. Safe and natural . . by the way, you can throw your Viagra away! By naturally promoting vascular dilation and delivering oxygen to needed organs, Nitro FX is all you need for a healthy vascular system, and better sexual health.